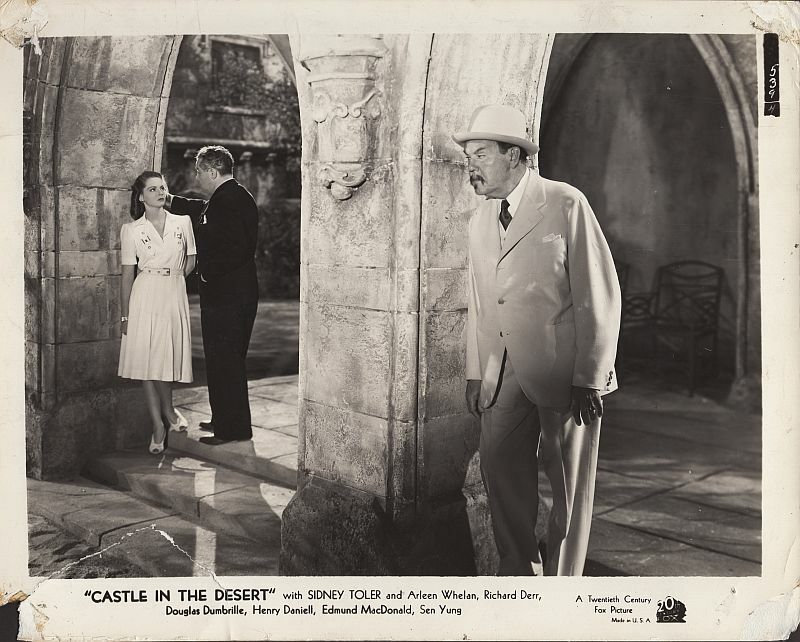 Gallery: "Castle in the Desert"
Jimmy Chan and Madame Saturnia arrive at the gate to Manderley Castle. 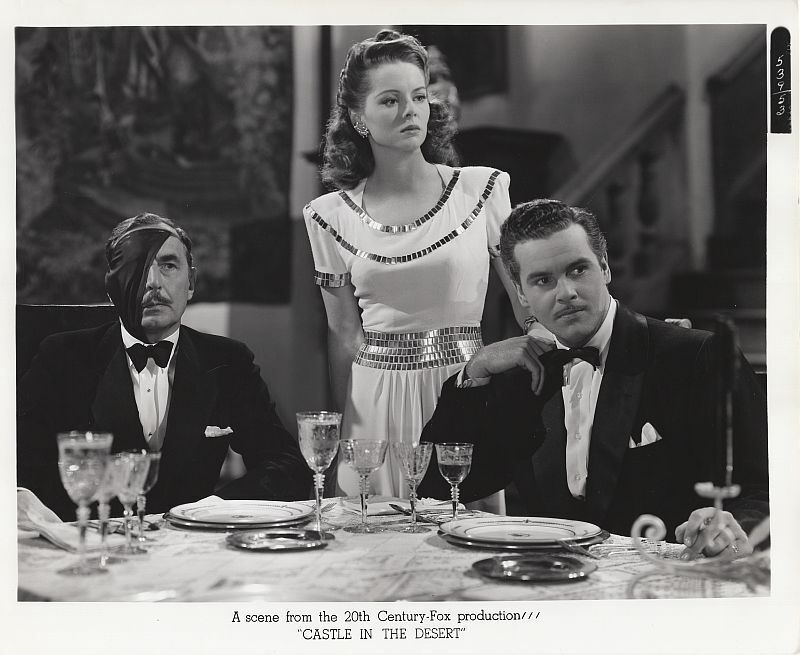 Charlie Chan listens in on a conversation between Brenda Hartford and Dr. Retling. 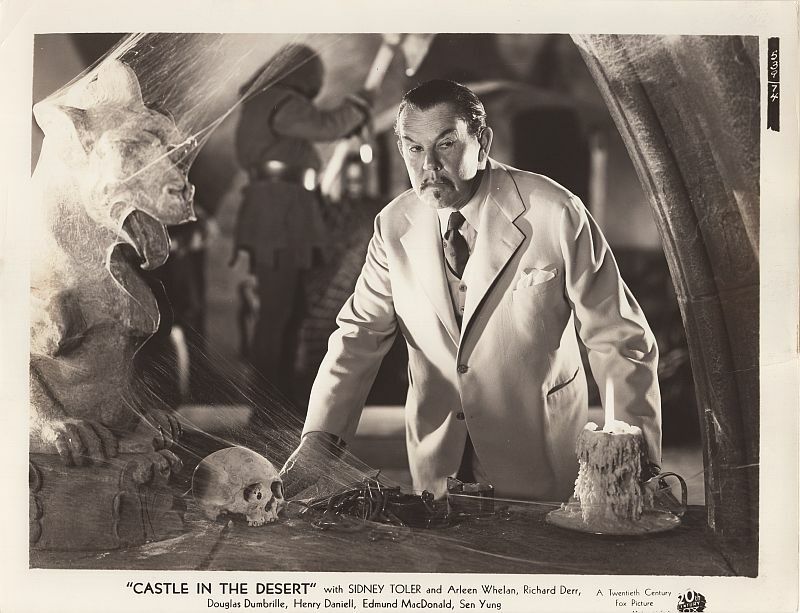 Charlie Chan searches for clues inside Manderley Castle. 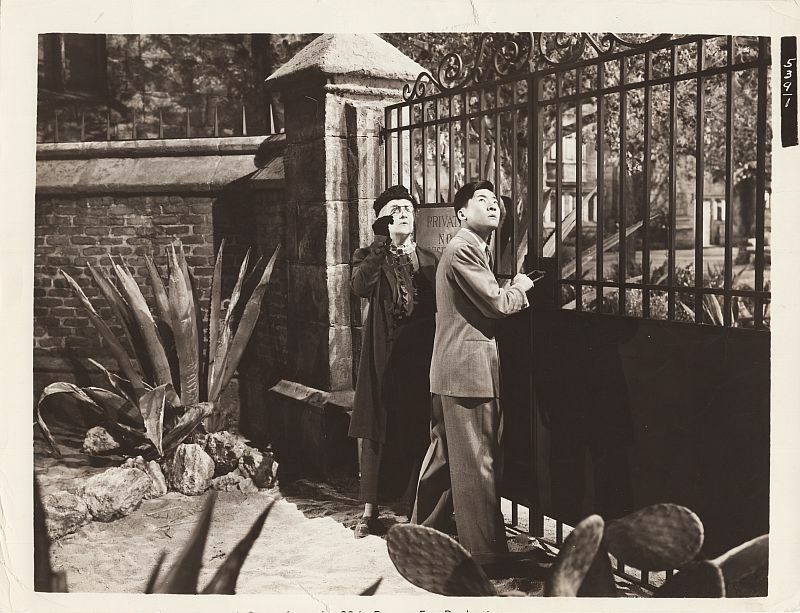 An arrow narrowly misses Charlie Chan and his Number Two Son, Jimmy! 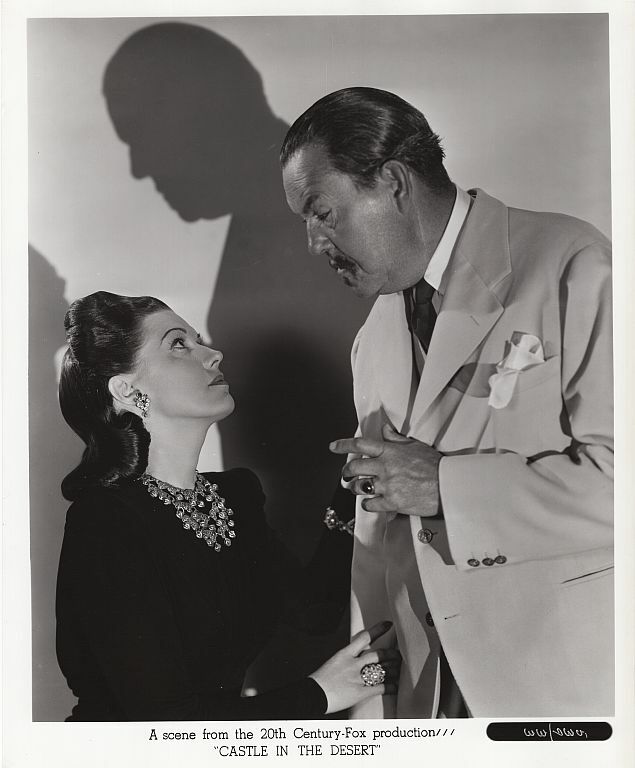 Charlie Chan speaks with Lucy Manderley. 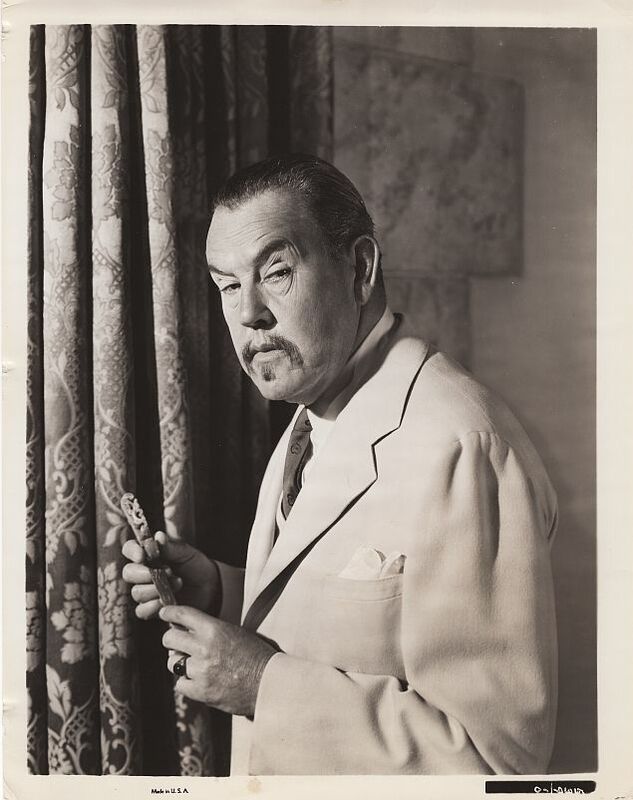 Charlie Chan during a dramatic moment with Walter and Brenda Hartford. Hartfords react to the apparent poisoning of one of the guests. 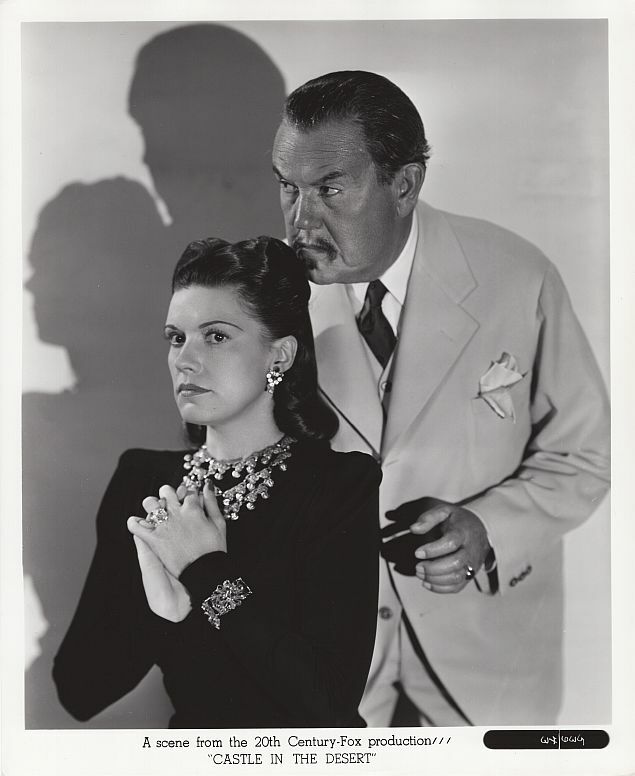 Charlie Chan and Lucy Manderley. 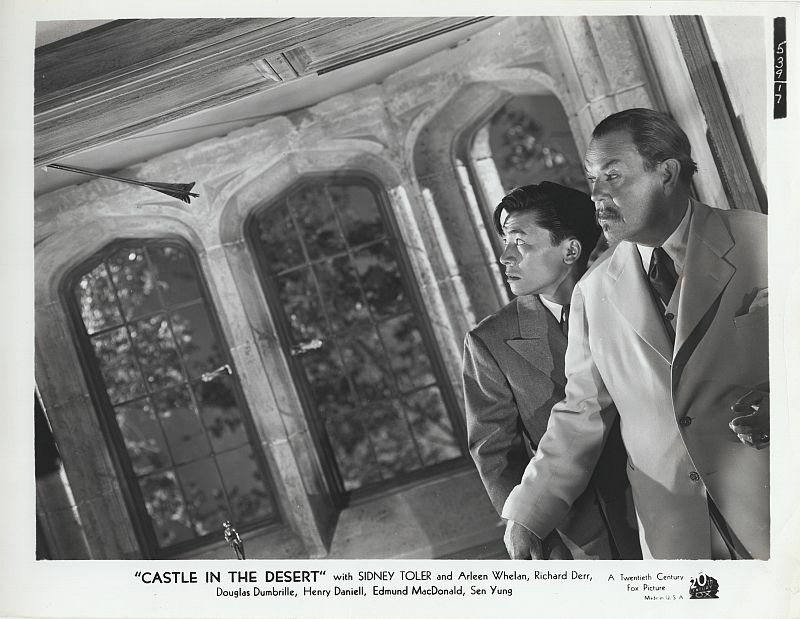 Charlie Chan explores the lower portions of Manderley Castle.